Standard Room: $135.00 per night! A Savings of $70.00! Deluxe Room: $150.00 per night! A Savings of $75.00! Suite Room: $195.00 per night! A savings of $80.00! Offer valid Friday & Saturday nights. A two-night stay is required. Must book direct at 1-800-650-9790 to be received or at www.maplewoodhotel.com. Online bookings must include "Spring Break" in the special needs section of your request. Not available to those booking on third party websites. Cannot be combined with other discounts. Offer valid April 5th, through April 27th, 2019. Must book directly at 1-800-650-9790! 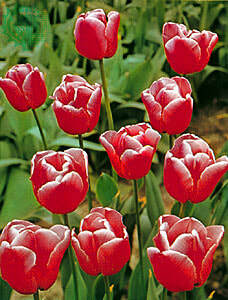 Tulip Time special must be requested at time of booking. A two night stay is required. This promotion is not available to third party bookings. Cannot be combine with other discounts.